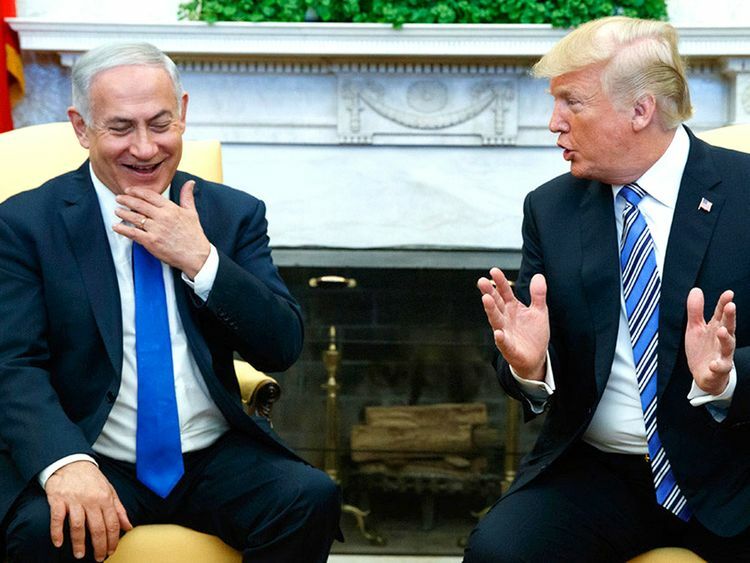 Last week, a well-known Israeli journalist revealed what he said were “new details about the Trump administration’s Israeli-Palestinian peace plan”. His report, he said, came from notes he had obtained from an American-Jewish leader who had been part of a small group of community leaders briefed by a “senior Administration official” just two weeks earlier. Since I had heard about the briefing and anticipated the “expected leak”, I began reading, preparing to be outraged. Instead, I found my reaction to be somewhere between bored and amused by the content. At the same time, I was also alarmed, not so much by what was or wasn’t in the “plan”, but by what I suspected was the intent of the leak. After waiting almost two years for the ‘Deal of the Century’, what the notes of the briefing contained were a watered-down version of what Israeli Prime Minister Ehud Barak had offered to Palestinian President Yasser Arafat almost two decades ago and less than what former US secretary of state John Kerry had offered two years ago. The elements of the purported deal included: A Palestinian state on 85 per cent of the West Bank with some land-swaps to compensate Palestinians for the West Bank colony blocks that will go to Israel; Israeli colonies outside the blocks will not be evacuated, but “illegal outposts” will be; and [occupied] Jerusalem will be a shared capital — Israel will have West Jerusalem and Palestinians will have some of the “Arab neighbourhoods” in occupied East Jerusalem — but the Old City and holy sites will remain under Israeli control. There was no mention of Gaza or Palestinian refugees. Nor was there any provision for Palestinian sovereign control over borders or resources. As I read the notes, I had difficulty understanding how, after two years on the job, Trump’s team had come up with something so embarrassingly unsurprising and inadequate. They must know, I thought, that there is no Israeli government on the horizon that would be willing to cede control of 85 per cent of the West Bank, and no Palestinian leader who could accept a deal that retains Israeli control over critical areas of occupied Jerusalem, and fails to address Gaza, refugees, or sovereignty. Since it was so patently obvious that the plan wasn’t a serious solution to the conflict, there had to be, I thought, another reason for floating such a poorly-inflated trial balloon. The only reason I could imagine that would account both for the leak and for the caution to Israel not to reject it had more to do with why it might have been leaked in the first place — and that is to make the administration of United States President Donald Trump’s administration and the Israelis appear to be reasonable and eager to accommodate Palestinians so as to facilitate US and Israeli entreaties to Arab states to work more openly with Israel. This would have the effect of subverting the Arab Peace Initiative (API). The API provided an Arab commitment to normalise relations with Israel — but only after Israel withdrew from territories occupied in the 1967 war; there was an agreed-upon solution to the Palestinian refugee issue; and there was the establishment of a Palestinian state in the West Bank and Gaza with its capital in occupied East Jerusalem. The “leaked deal”, on the other hand, would ask Arabs to begin normalisation based on an inadequate plan that Israel wouldn’t reject, but would never implement. In the end, relations would be normalised, with the “rejectionist” Palestinians remaining under occupation, in limbo. In this context, it is important to recall that for President Donald Trump the matter of Palestinian rights, per se, has never been a priority or even a concern. If anything, it was a merely a pesky matter to overcome in order to achieve the ‘deal of the century’ that brought the Arabs together with Israel, ostensibly to confront Iran and extremism. It appears that the administration’s thinking might be that if a real peace deal can’t be reached, then maybe, just maybe, it can be finessed by sleight of hand. The bottom line, however, is that this lame effort will fail since it underestimates Arab leaders and ignores what they know about their region and their people. As our most recent polling demonstrates, despite all of the issues roiling the Middle East, Palestine remains a priority concern across the region and there is no tolerance among Arabs, in any of the region’s countries, for normalised relations with Israel until the terms of the API are met, in full. And even then, it will be a hard-sell. There may be regional concern with Iran’s meddlesome behaviour and the continuing threat posed by extremist ideologies. But what the Trump administration still hasn’t figured out is that normalised relations with Israel without real justice for Palestinians would only be a boon for Iranian propagandists and extremist recruiters.